Dedicated to this Tragic Day in American History 9/11/2001, when 2,996 people died at the hands of terrorists in New York, Virginia and Pennsylvania. Every American who remembers that day, those images, the loss of life and frantic efforts by so many to do everything they could to save as many as they could reach. 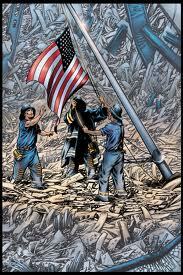 I Dedicate this post to all of you who were impacted by 9/11. Let us Always Remember, Never Forget! God Bless America, The Land of the Free and Home of the Brave! 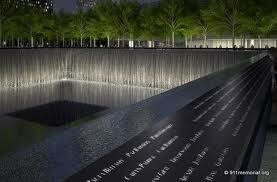 This entry was posted in Uncategorized and tagged 9/11, America, Ground Zero, Memorial, USA. Bookmark the permalink.